When applying self-determination theory to educational settings, evidence suggests that the basic psychological need of relatedness is actually multi-dimensional, which could result in differential influences on intrinsic motivation. Thus, this study proposes a modification to the operationalization of relatedness. The relatedness items from the adapted Basic Satisfaction Needs at Work scale were altered so that items asked students to separately report the amount of connection they feel with their instructors and peers, as opposed to the original items that asked them to more broadly reflect on people in their course. 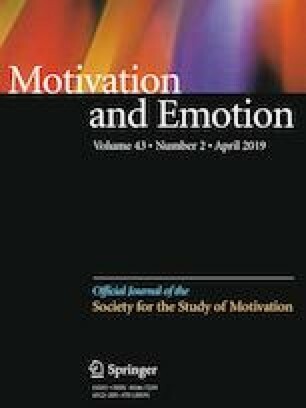 College students (556 female, 321 male) completed a questionnaire assessing their basic psychological needs, including the two new relatedness subscales, motivation, and academic outcomes. Results of exploratory and confirmatory factor analyses revealed that the original relatedness scale should, in fact, be treated as two-dimensional. In addition, of all the basic psychological needs, instructor relatedness was most predictive of student interest/enjoyment in the course and self-reported effort. Conversely, peer relatedness did not significantly predict any outcome variables. Study implications, limitations, and areas for future research are discussed. This work was supported by the Andrew W. Mellon Foundation’s Grant to Strengthen Innovation in Engaged Teaching and Learning, which was awarded to Colorado College [Grant Number 31300614]. I feel like I have a lot of say in deciding how my coursework gets done. I am free to express my ideas and opinions in this course. My feelings are taken into consideration in this course. I feel like I can pretty much be myself in this course. People in this course tell me I am good at what I do. Most days I feel a sense of accomplishment from this course. I feel very competent in this course. I really like the instructors in this course. I get along with the instructor in this course. The instructor in this course cares about me. I really like the other students in this course. I get along with other students in this course. The other students in this course care about me. This course was fun to take. I would describe this course as very interesting. I put a lot of effort into this course. It was important to me to do well in this course. I feel that I learned a lot in this course. I understand the content of this course well.